MABB – Malmö Artist’s Book Biennial, will be a Swedish and International exhibi­tion and selling platform for art works that are inspired by the structural and conceptual properties of the book form. MABB, arranged for the first time 2018, will invite both national and inter­national artists, publishers, booksellers and organizations to participate in the first International fair for artist’s books in Sweden – an art genre that is attracting more and more attention. 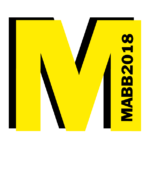 Program for MABB2018, you´ll find here!